Dr. 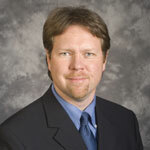 Troy Sands is a pediatric hospitalist and director of sedation services at Akron Children's Hospital. Coming to the hospital for a test or procedure can be a scary thought for children of all ages. Some hospital tests may be uncomfortable or last for over an hour, making them especially difficult for young children to tolerate.